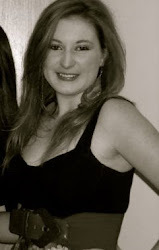 Having just started a job with an interior design company, I've already learnt a lot! All the behind the scenes admin that goes into a design project. 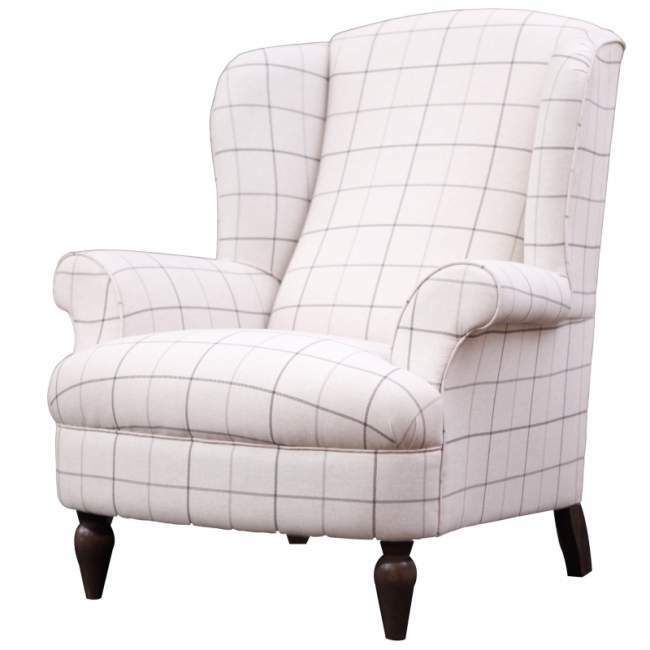 The company has a fantastic showroom, and my two favourite items in there are a plaid covered love seat and arm chair. If your not familiar with the term, plaid is similar to tartan, which doesn't sound too appealing. However, I have a new found love for it, and wan't to show you how it can be used to create a cosy feeling with an air of subtle stylishness. 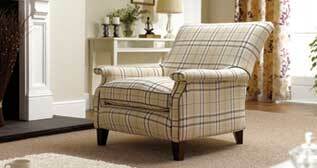 This is the first example, and I think the armchair works seamlessly with the leather sofa. The trick is not to overdo it, and here the designer has picked out colours from the pattern to use on cushions. 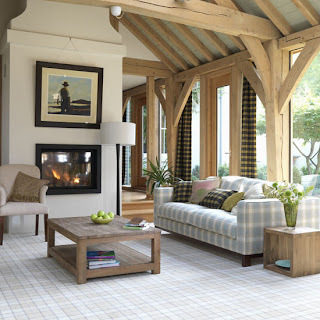 Here is an example of how a classic formal design can be updated to make it casual and cosy. 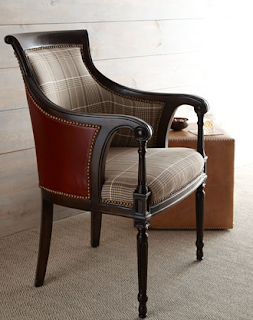 The chair looks comfy, and would look great in a drawing room. I love this image. 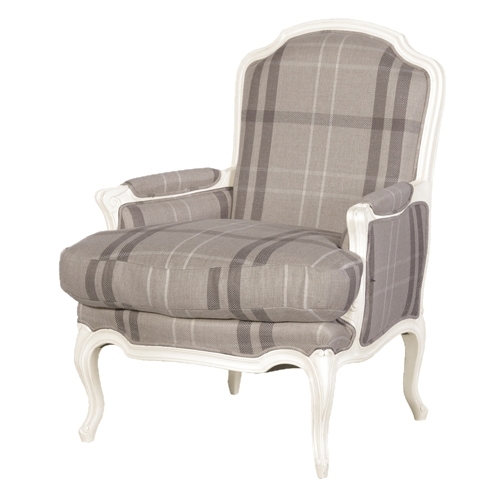 The glamour and luxury of the design is made traditional with the check chair. The curtains perfectly matching the background colour of the check, while the darker colours in the chair work with the piano and side unit. This is so simple, and is a good example of how a check can be fresh if it is not too dark or dense. Again it's another classic chair design but it has a much more contemporary feel. 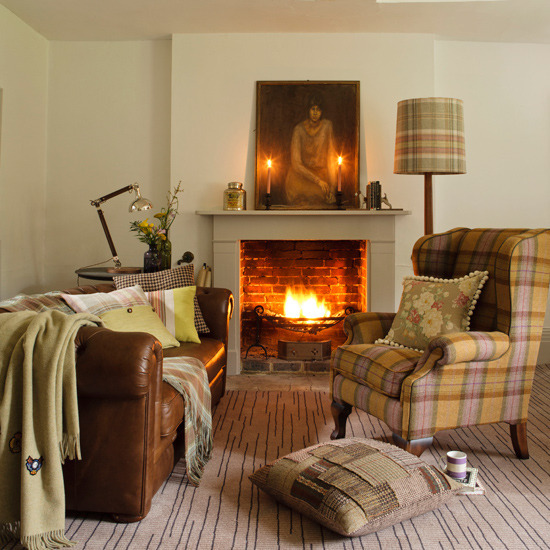 And another image that proves that woollen fabrics aren't just for the winter. The pastel shades used throughout this room, allow the sofa to 'breathe' and create a calming neutral atmosphere. Coupled with exposed wood and a simple floor plan, this room envelopes good design. The key seems to be to stick with neutral colours, and steer clear of bold reds and greens, that are usually associated with tartan. 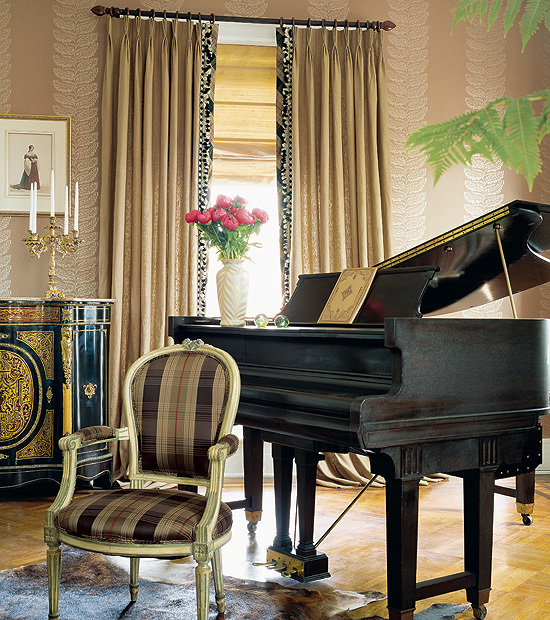 This helps to create a more classic look such as the one above. I can picture this in a study of nursery, showing the versatility that check has. I love the combination of check and leather here. There is something so traditional and rustic about this style. This is a definite for a gentleman's study or one either side of the fireplace. Although it is much more formal that many of the images I have looked at, there's nothing wrong with a bit of stylish formality now and then. I'm looking for an armchair very similar to the one in your original post, could you tell me where I could find it? if not, I worked for a company called Simmons home interiors, who have a range of chair designs and a very extensive fabric range which they can use to cover chairs. They might be a good bet. If not, laura ashley do a similar service and have a few checked fabrics. Hope this helps!